Guest posting is a really great inbound marketing strategy, but nothing worth doing is easy, right? Don’t worry, I’m gonna guide you through it. I remember when I first started writing articles for other websites. Even if I’m writing articles for Bannersnack and doing the content strategy for them, even if I’m writing on my own personal blog I still write content for other websites. And to admit it, I first was nervous and a little bit afraid. It’s just like when you go to someone else’s house for the first time and you need to adapt to their rules. So, when I started writing articles for other websites I only had one simple idea in my mind: if I link to the articles from my blog and my company’s articles I will get tons of traffic and it will blow everyone’s minds. But after they published it, I kept my eyes on analytics and didn’t see any big change as expected. Then I decided that we needed to get together with the content marketing team and look into how we could guest post more effectively and into some questions we had to ask ourselves. What are the benefits of doing that? How will we manage all the content that we want to put out there? What is our main purpose? How are competitors dealing with guest posting? What tools are we using? And we got answers to all of our questions. After a few months of constantly guest posting for small or medium websites, we could finally see some results. Our web traffic increased organically a lot and we saw great benefits from the SEO perspective. This was the moment when I learned the importance of guest posting the hard way and the easy way too. After I started guest posting on a few blogs, I stuck my eyeballs on Google Analytics and waited to see my traffic increase. But it didn’t happen. It was just a small growth in traffic for the moment and that’s all. Nothing spectacular that can be proved on top online marketing websites where I can testify that guest posting is a blast. I then thought that posting for traffic isn’t going well, unless you post on top websites like Huffington Post, Mashable, Inc, Entrepreneur and others we all know very well. I started pitching my articles to all these big publishers and… I got nothing. No reply. No email. Nada. Zero. Nothing. I failed because I looked at guest posting as a short term game. 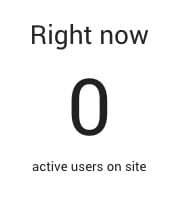 Even if there are 1 hit lucky number who can generated 4 or 5 figure web traffic number from only a few guest post I still believe that guest posting is something you need to do very strategically. So I changed my tactic, my ideas and my strategy and went started again from scratch. I first started writing on small websites, then on medium and now I can say that I’m a contributor for Hot in Social Media, Content Marketing Institute, Social Media Examiner, AdWeek or TNW. I learned that guest posting is something that you don’t acquire after only one shot. You need to have the “marathon mindset” so you can move forward, one step at a time so you can achieve your goals. And here comes the first thing I want to discuss with you. What is your main goal when we talk about guest posting? Do you want people to recognize your expertise? Do you want to acquire more customers? Do you want to grow your social media followers? 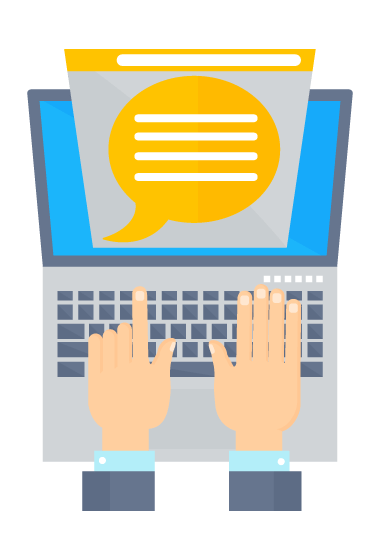 I pointed only a few goals that you might take into consideration when thinking about guest posting, but I think that every situation has its particular goal and only you can point out why do you want to do guest posting. The difference between the easy way and the hard way is that for the first one you need to be very lucky and move very fast, but this is only the short term strategy. With the second one you can grow your strategy slow and easy but you will see the positive results after a longer period of time. This is that kind of an article that you need to bookmark, share it and save it for whenever you want to start your guest posting adventure. What’s the best way to guest post? 1. What are the benefits guest posting? What are the benefits of doing sport every day? Of going to the gym, working out with a trainer and eating healthy food? It’s to be more healthy, right? What are the benefits of working with a team in a company? You can accomplish more things. You can help the company grow bigger. You can get new ideas and also get feedbacks from the people you’re working with. There are bloggers, content marketers and SEO specialists who are interested only in getting backlinks when we talk about guest posting. Maybe this is the best-known strategy when we talk about guest posting. But why are backlinks important today? Why do we need to have a well balanced mind-set when we talk about a guest posting strategy? Backlinking is a long term strategy that you need to work on very carefully. Guest posting is not only about backlinks. This benefit is not something you can measure on the spot, but it’s a very important thing to focus on when talking about guest posting. For example, let’s say that you want to build your backlink strategy to get on top of Google ranking. But who will link to your website or your blog if they don’t know who you are? This is why you need to start working on your guest posting strategy. Because guest posting is not only about backlinking to your site or your client’s site, it’s also helping you build a good name in your industry. You can get people know you when they see your face in an article, or when they read an article and if they are familiar with your writing style they already know that you are the author. Brand awareness can bring you more people in your community, more followers on social media and also can help you grow your audience. Grow your brand giving more and asking less. Give value by using guest posts. You need brand awareness for your online marketing strategy. I still believe that 99% of our content marketing work should be about our audience and 1% should be about our brand. Because a brand without an audience it’s only a big ZERO. Your audience is the one who buys from you, who trusts your brand and who talks about your brand. Your audience is the one who gives you confidence, invests time and money into your product or service. Many content marketers believe that you only need a website, a blog and a newsletter subscription idea to grow your audience. But you also need to go outside and give value to other communities. That means that you need to reach out websites, pitch your idea and talk about your value and if the audience from that community loves your idea and shares the same opinion, it could follow your brand. Gregory Ciotti used guest blogging to build a 37k email list for his personal site but and also helped HelpScout grow their brand. Gregory wrote for websites like Entrepreneur, Buffer’s blog, TheNextWeb, HuffingtonPost and Business Insider. But how can one single guy manage all of this work? Isn’t this really hard and time consuming? Well, I was curious on how many backlinks HelpScout got in the past year. Great content helps your brand image and also makes the audience trust you. So invest more in valuable content! I have a few friends who struggle with their blogs. They want to write many articles but they don’t have the amount of time to do that. So they can handle only one or two articles per day. And when we talk about long form content, it’s getting even harder. So every time they are telling me that it’s hard to create long form content every day, I recommend them to start giving that chance to other contributors, authors and bloggers to write for them. They can publish an article in which to let people know that the blog accepts contributors. It’s so easy today to get people read your website. Even I got weekly tens of emails in which people are asking if I’m accepting guest posts. But for now, my personal blog is only a one man show. Every time I talk about helping others I remember Gary Vaynerchuk’s book “Jab, Jab, Jab Right hook” in which he talks about the idea of giving value then asking for something. Now let me tell you a big truth: there are hundred of authors and contributors who are asking websites and bloggers to accept guest posts, but they are only looking for a place where to put another link, another image, another place where they can promote their brand. This is the short term tactic that won’t help you if you want to do guest posts. You don’t have to publish every day on different websites, but you have to be consistent with your content on those publications. For example. I’m a monthly contributor for Maximize Social Business where I’m writing about Instagram marketing. When I asked Neal if they would accept me as a contributor he told me that if I’m willing to commit to writing one article per month, they would. And of course, I said yes. It’s hard work, but it’s something I enjoy doing and I see every day how my website traffic is going up and my followers on social media multiply each month. Many guest post bloggers would like to write for top websites like Mashable, HuffingtonPost or Business Insider. But there are other medium and smaller websites that are allowing you to write for them. Start from the bottom and climb your work to the top. Be consistent with your guest posting and don’t be unrealistic. Start from the bottom and create valuable content for any website. Other people will then recognize your work and you will see that they will come to you. Now that we know the benefits of guest posting, let’s go and see what are the steps you have to make to start your guest posting today. 2. How to start guest posting? So here are the 6 steps you should make in order to start your guest posting work. But before we dive into these practices let me warn you that it’s a lot of work and if you are not willing to have a long term mindset, you will be disappointed. There are dozens of ideas on how to find websites to guest post for. I can rewrite all the good articles that talk about guest posting. How to find these websites and what to do to start writing for them. 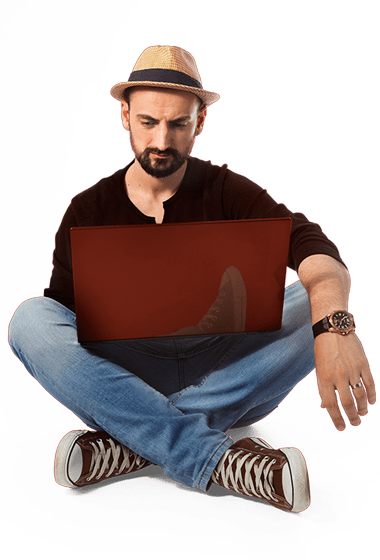 But I will tell you about my personal experience and how I managed to write for websites like Content Marketing Institute, Adweek and The Next Web. First, I launched my personal blog and kept on writing for the blog of the company I work for. I was very serious, and still am about writing for my own website. Why? Because I can experiment and write what I want using my own guidelines while also building my own brand. I use my personal blog to create content that I will share with my community and to pitch to websites. But how do I found all these websites on which I want to contribute? So the moment I pitched my idea on how to use Instagram Stories coincided with the moment in which brands started using this new feature from Instagram. What I did was telling the CMI editors what and how I planned to write for them. It was a simple pitch, with a simple trendy idea. 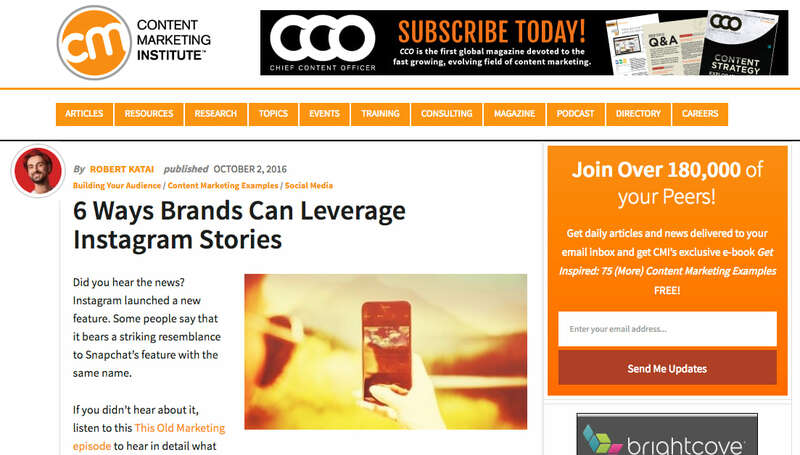 I didn’t use any strategy and tactics to get my content on CMI’s website. The best tactic when you want to contribute to other websites is to be transparent with your intentions. But why did I want to post on CMI? Because for me, CMI is the best resource in the content marketing industry and my daily job is in content marketing strategy. So it was a great fit for my guest posting strategy. You don’t have to follow any other tactic to do guest posting. Just start from the ones you know. If it doesn’t work, look for the medium or small blogs in your industry and pitch them. The thing with these guest posting pitches is that they are part of the short term game. People only write a 1000 or 1200 words article, with images from free websites and unrelated links. If you want to be a regular contributor for a top website you should first start with the small and medium ones. Give value over there, build your community and then start pitching the big ones. The best strategy in guest posting is to play the long term game. I’m using one single tool that gives me everything I want. 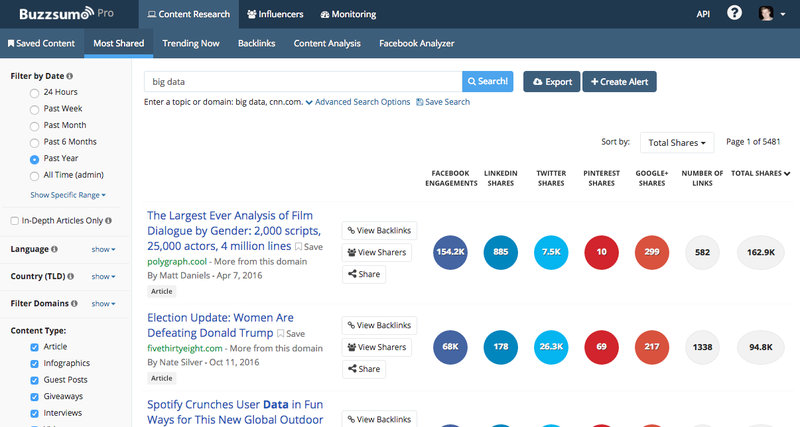 It’s called Buzzsumo and it’s one of the most useful tools I’ve ever used. The “Influencer” option in Buzzsumo is real gold for the ones who are searching to find websites and blogs on which they can contribute. It’s very simple to use. Go on buzzsumo.com, sign up and then select the “Influencer” option at the top menu. Then you can filter the influencers you want, from bloggers to regular people and even regular people. Write the industry you are interested in the search option, hit search and you will get a list of influencers in your industry. You can select these influencers based on their page authority, domain authority, followers, retweet ratio, reply ratio and average retweets. The best thing in Buzzsumo’s influencer list is that they also give you their name, profile picture, website and description. Every website has a writing guideline. Think about the website for which you want to guest post – as a company. If you want to work in that company you must obey some rules and go with their guidelines. For example, if you want to write about business in a funny way, or use lots of visuals and videos in your content then pitching Forbes or Business Insider is not such a good idea. Because these websites are more interested in having high quality articles, with examples and actionable tips for their readers. Let’s say that you want to contribute for the Kissmetrics blog. So what is the first thing you must do? I truly recommend you to read every article they have ever published. Understand their blogging strategy. What and how often they publish. What are the main topics they talk about. Which articles are the most shared ones. Here is something you can use for your own strategy. Go on Buzzsumo (I told you that this app is a great tool for your guest posting strategy) and copy paste their domain. Let’s try with Kissmetrics. Copy their domain name: https://blog.kissmetrics.com/ and go on buzzsumo.com, select the “Content Research” option and go to “Most Shared” category. Paste in the search bar and hit Search. Here, you will get the most shared articles from the Kissmetrics Blog. Now all you have to do is start reading them all, with comments and see what topics they talked about, who wrote those articles and on which social media channel is the author popular. I know that it’s a lot of work to do. 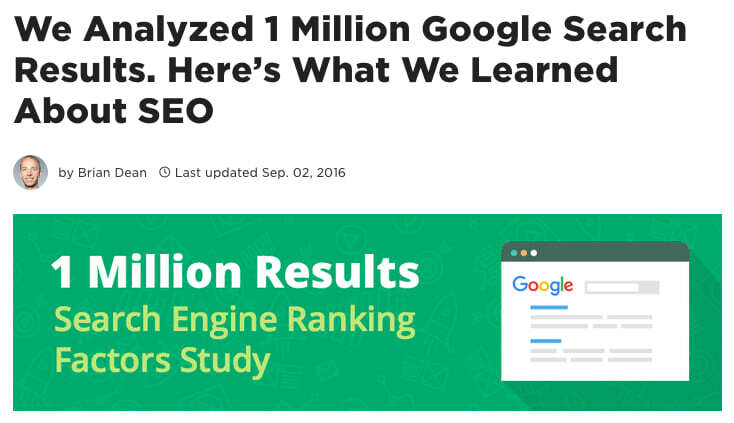 But if you want your article to get published on blogs like Kissmetrics, you should do your research before. When it comes to guest posting, the axe represents the research you must do before approaching a website. Try to understand what type of content is performing well for that website and try to do that. Think about their audience, think about what “bridge” you can build between their audience and your content. As I already said, many content marketers that do guest posts only think about the link building. 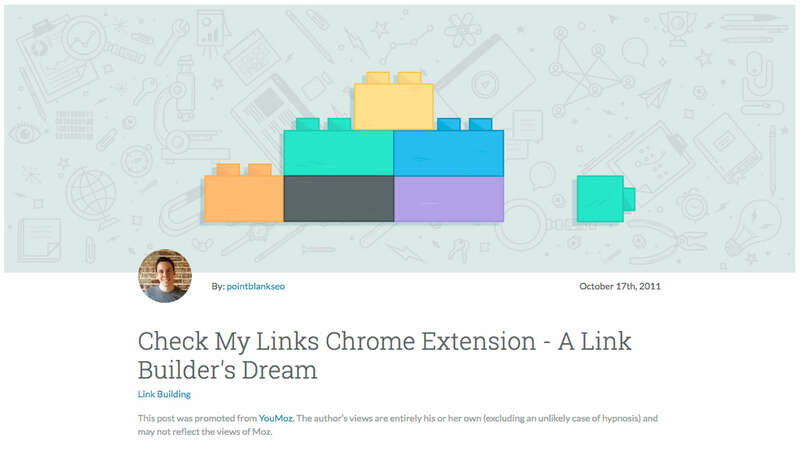 How many links should you use in a blog post? Where to post these links? Using anchor text or branded content? All of these things really matter from the SEO perspective and I’m aware of how important they are. But if you do guest posting only for link building then please let me tell you that you’re on the verge of losing the game and you won’t do this for a long time. The backbone of every successful marketing campaign is content. Without quality content you won’t get too far. So if you have to do choose between content and links, just start with the content. For example, this is the reason why you need to invest in your content marketing for your company. Build your blog as the best place where people can find answers from your industry. Create content projects such as online academies, ebooks and launch webinars where people can learn about your company, your brand and your industry. Then when you write guest posts you can link to your quality content because you already brought value to your industry. Don’t do guest posting only to get some links. If you want to get those links, then invest more in quality content and have patience and you will see that they will come. Another important point you should check while you are doing guest posting is to respond to comments. 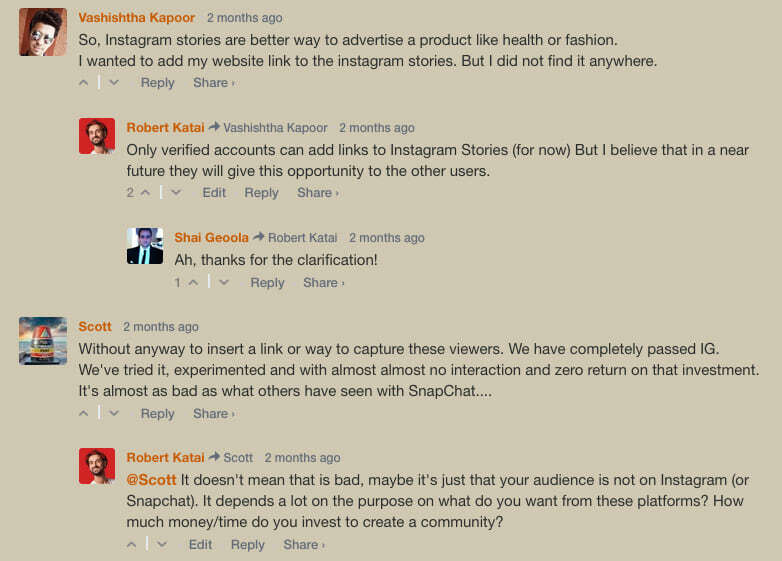 When I published an article for Social Media Examiner about Instagram Ad Stories I received an email from Lisa, who told me that I must respond to the comments. Every website has it’s own community. And it doesn’t matter that there are only 10 or 10.000 people who read and comment to these blog posts. It’s important that you, as an author, start replying to every comment and give valuable information. In that case the website’s owner will see that you are not interested only in publishing content but also you want to engage with that community. Think about this and you will see positive results. I know that many of you who are doing guest posting, share your articles on your social media. It becomes a simple digital behaviour. You just hit the Tweet or Facebook button from the article and personalize the status. But there are 2 ways (or more) you can use social media for your guest posting strategy. First is the already known social share. After you write the article, you share it on your social media. Let your community know about your new accomplishment. Don’t forget to tag the publication for which you wrote the article. And also don’t forget to reply to everyone who commented on your status. But what about the second one? Well, this is the kind of social media engagement I love to see in my feed. 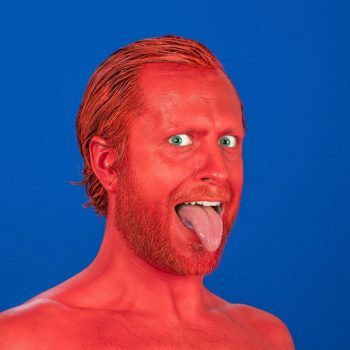 For example, Aaron Orendorff is the kind of content writer you must follow if you want to learn how to contribute, how to work with top publications and how to stay with your head in the game. I’m giving him as an example because he’s the first guest blogger from my social media list who uses social media in this way. Before he writes an article he is engaging with his audience by asking them several question about the topic he wants to write about. And let’s be honest, who doesn’t want to be featured on publications like Mashable or Shopify with a great quote? So Aaron reaches out to his audience in order for them to help him create his content. Here is a great example. And he always receives a lot of comment and replies. It’s great because he is helping his community and his community is helping him back. So yes, social media can be more than just a place where you share links and photos with your cat. I found guest posting to be a great way to help your website drive more traffic, connect with new communities, get more quality backlinks and grow your brand awareness. I know that there are other benefits of doing it but these are only a few I remember right now. For me it’s a great way to look outside the box and push my limits to write compelling articles not only for my community but for others too. Now back to you, let me know in the comment section below what you think about guest posting. Is this something that you would want to try? Or if you’re already doing it, let me know what other best tips you have for this article.